As They Get Older, Elders are Less Able to Think and Act Independently. They Hire Help or Ask Their Family Members to Take Care of Their Homes and Assets. Unfortunately, Unscrupulous People See This Vulnerability and Take Advantage of this By Financially Exploiting an Elder. People over 50 years old hold over 70% of the nations wealth, and most of them don’t even realize the value of their belongings. As San Diego seniors and retirees get older, they become less physically and mentally able to live independently, so they hire helpers or ask family members, who have access to their homes and assets, to take care of them. Many of the people who are directly responsible for the elder’s care take full advantage of this without the elder’s permission and exploit the elders financially to benefit themselves. Who is Most Likely to Exploit an Elder? 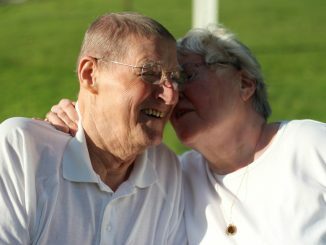 Family members, including sons, daughters, grandchildren, or spouses, are most likely to financially exploit an elder. They may have a substance abuse, gambling, or financial problem. Or, they justify the exploitation because they feel that what they are taking is rightfully theirs and will be deprived of it. There are several other factors that may contribute to financial abuse that stems from insecurity. For example, an abuser may fear that the elder will get sick and use up their savings, depriving them of an inheritance. The abuser may also have negative feelings toward the elder or to other family members and what to pretend them from inheriting any of the elder’s assets. If you or someone you know is being financially exploited, tell someone you trust and act immediately. In the U.S., you can also call Eldercare Locator at 1-800-677-1116. You should also contact an elder abuse lawyer right away. The San Diego elder financial exploitation attorneys are trained at handling these kinds of situations. It is important that the abuser is brought to justice, and damages caused by the elder be compensated. Contact us so we can ensure the safety of the victim and prevent others from being abused.